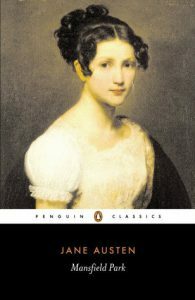 Until recently, I rated Mansfield Park as my second least favorite Jane Austen novel. For the record, Northanger Abbey is my least favorite of Austen’s completed works. I did not care for Mansfield Park because of Austen’s depiction of Fanny Price. Fanny is a poor relation taken in by her wealthy uncle, Sir Thomas Bertram. When Fanny first arrives at Mansfield Park, she is a scared and lonely ten year old. In many ways, she remains a frightened child, prone to low spirits and headaches. I disliked Fanny because she rarely offers an opinion or speaks her mind, is often judgmental and bursts into tears much too often for my liking. Throughout the novel, we watch Fanny’s family ignore her needs while assuming they know what’s best for her. Unlike many of her other characters, Austen allows Fanny to seethe with frustration, resentment and disappointment as they place their well-being before hers. While outwardly agreeable and meek, Fanny reveals she can be neither when refusing to marry the well-off Henry Crawford. Later the rightness of her decision is revealed when Crawford seduces and runs off with Fanny’s married cousin, Maria. The last time I read Mansfield Park, I discovered there was more to Fanny Price than tears and moral rectitude. I still found her annoying, but I realized that Fanny enjoys the small pleasures that many of us take for granted. Walking with her cousin Edmund or listening to her brother’s stories fill Fanny with joy – she genuinely enjoys these moments. Her brother William’s impending visit, an outing to a neighboring estate and attending a ball thrown in her honor; all reduce her to tears. Yes, she is overwrought. I can’t imagine being so caught up in the moment that I weep with happiness. Yet, there is something appealing about Fanny’s willingness to embrace each and every moment life gives her. Perhaps this is Jane Austen’s greatest lesson. Austen, Jane. Mansfield Park. New York: Penguin Classics, 2003. ← Throwback Thursday: Little Building, Lincoln, Nebraska.